Saves You Water And Dollars! 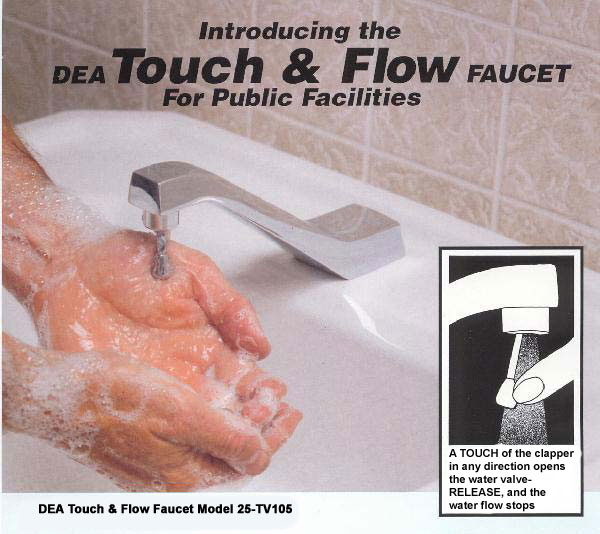 Water only runs when hands are under the faucet! Less water flow means lower water bills. Plus, cleaner restrooms mean lower maintenance. No handles to touch means more sanitary facilities, especially important in restaurants! Factory set at a maximum of 1.2 G.P.M.